Deadpool is finally here people! And it is utterly hilarious! 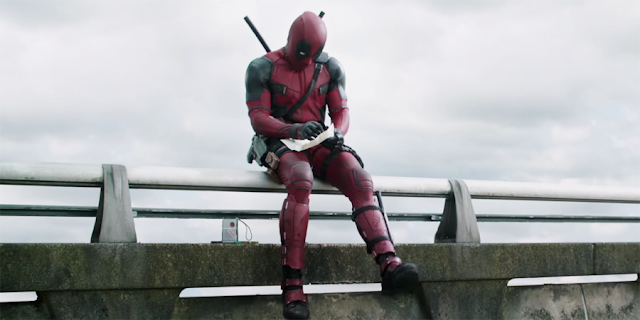 Fox appears to delivering everything that we wanted with this Deadpool movie. It is meta, hysterical in parts, and captures the character perfectly. The trailer even explains Deadpool's origin clearly for those new to the character. He basically has Wolverine's heal factor, uses swords and guns, and he knows that he is a comic book character (or whatever medium he is in). Ryan Reynolds plays Deadpool again, and as the other promos show, the movie acknowledges how Fox completely screwed up the character in X-Men: Origins - Wolverine. Of course, the above trailer is the "green-band" trailer censored to release in theaters and TV, so if you are 18+ and want to watch the red-band (R rated) trailer, you will find it on YouTube. My main issue with the film is that it looks too vulgar, even for a Deadpool movie, but I plan to write about why we need two cuts of the film in theaters in a later post. What do you think of the trailer? Please comment below and let me know!